An AC drive is a device used to control motor speed, reduce energy consumption, facilitate efficient generation of energy, reduce mechanical stress on the motor and to allow greater process control. It is also known as an adjustable frequency drive, a power converter, an inverter, an adjustable speed drive, a variable frequency drive or a variable speed drive. An AC Drive is an essential tool in many industrial and commercial applications. Here’s what you need to know about them. Electrical motors across the world consume almost half of the world’s electrical energy. Continued consumption of energy in this manner, without any restrictions, would lead to unsustainable energy consumption. AC drives are excellent for reducing energy consumption at small and large scale applications. They are key to energy conservation, mostly used in pumps and fans. If used for every suitable application - like compressors, power plant processes, paper-making and food-processing applications as well steel and oil industries - AC drives can drive down consumption of energy significantly. High energy conservation levels at low speeds. Extended life of components due to easy operating at low speeds. Can be used in place of and without gearboxes because it can deliver different speed requirements without speed reduction or speed increasing devices. 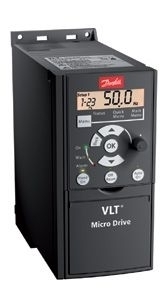 An AC drive can be categorized by the type of current used, voltage requirements or control technique. When categorized using the type of current, inverters could be single phase or three phase. They may be low voltage, medium voltage or high voltage inverters when categorized using voltage requirements. If categorized by the control, there are V/F control and vector control AC drives. An expert technician at Bauer GMC can help your business navigate the different options to choose the ideal AC drive for your application. Contact us today to learn more or to request a consultation.